Max and I have just read the most bizarre book. I'm still trying to get my head around what we read but to a 4 year old it all made perfect sense, so much so we ready it again! Nonsense lies at the heart of many beloved nursery rhymes..... the cow jumped over the moon and the dish ran away with the spoon - to me this makes perfect sense, I've grown up with this story and at first giggled at it, thought it funny and strange and then.... well just accepted the surreal and the 'poppycock' of the world of rhymes. So why did I struggle with this book? I feel like Pan all grown up, I've forgotten how to play and have fun reading a gobbledegook story book and enjoying it..... fortunately my 4 year old is still very much in never-land. 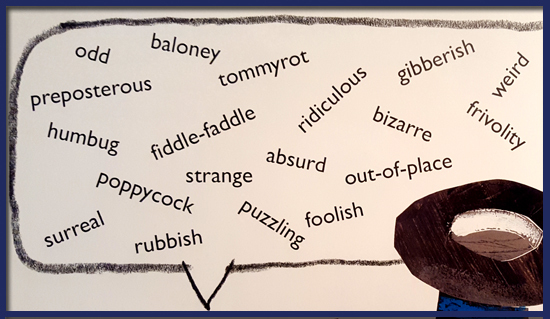 The book is aimed for children between 3-7 and as I said at the start - is rather bizarre, it gets the brain juices flowing and will almost certainly cause discussion. Max is so desperately trying to read and asked me to read each line and he then repeated it back, by the second read of the book because it's in rhyme form he almost knew the next line before I read it. He couldn't get his head round the two headed snake with no tail, but fully accepted a fish in the a cage and a bird in the water. 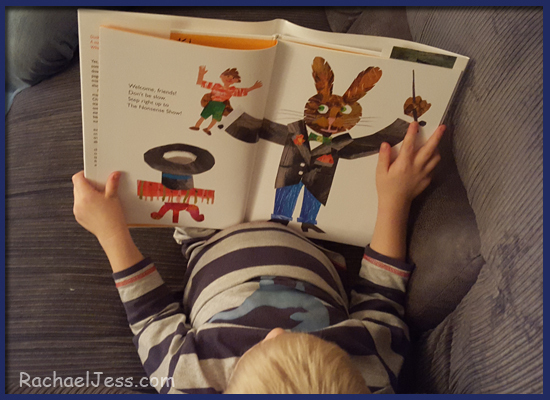 I can't say it was a book I enjoyed reading, but it was very much a book I enjoyed with Max. Does that sounds nonsense? Watching him study the pages, discuss why the lion was upside (when in fact the book was!) and reading back words such as absurd are what make the memories. 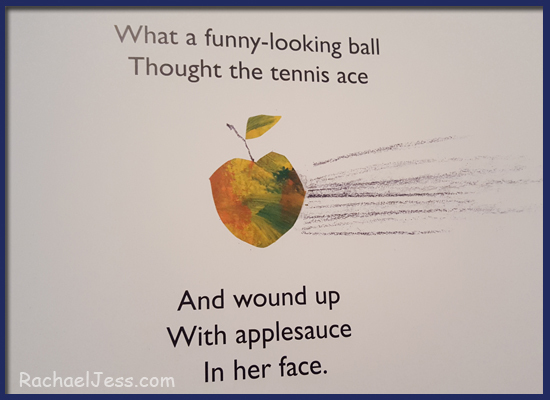 So thank you Eric Carle, the wonderful creator of the Very Hungry Caterpillar, this is one book that will very much stick in my head.... unless I swap my head with a horse's! The book is currently retailing at £12 hard back and if nothing else is full of baloney and fun memories. Pretty much sums the book up! 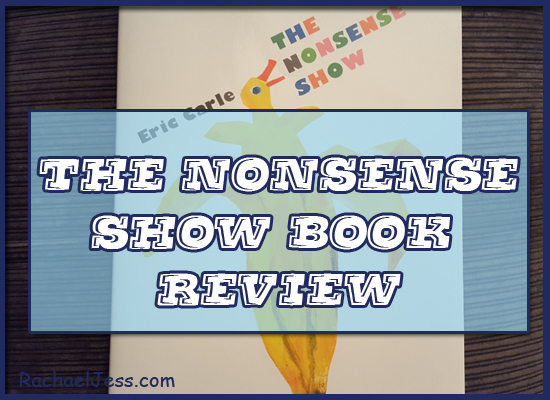 Disclaimer : I received The Nonsense Show book from The Big Shot to review.